Damansara, 26 June 2013 – Lexus Malaysia strengthened its position as the purveyor of fine automobiles in the country with the launch of the all-new, highly acclaimed Lexus IS in the presence of Tan Sri Asmat Kamaludin, Chairman of UMW Toyota Motor, Datuk Takashi Hibi, Deputy Chairman, UMW Toyota Motor, Datuk Syed Hisham Syed Wazir, President and Group CEO of UMW Holdings and Paul Carroll, Vice President, Lexus Asia Pacific Division, Toyota Motor Asia Pacific. 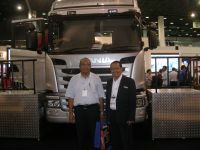 Kuala Lumpur, 20 June 2013 – Hino Motors Sales (Malaysia) Sdn Bhd, the No. 1 brand in commercial vehicles for all segments, today provided an experience never to forget through a showcase of a full model line-up from the smallest LCV 4 wheelers to prime movers and buses, the most extensive array of products to date. 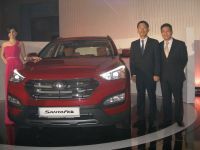 The experience was further elevated through the opportunity to get up close and personal with these vehicles with a chance to feel the innovation through a media test drive held at the National Stadium in Bukit Jalil. Kuala Lumpur, 13 June 2013 – In conjunction with the Malaysian International Bus, Trucks and Components Exhibition (MIBTC) 2013, leading local tyre company, Kit Loong Commercial Tyre (KLCT) Group has today officially unveiled its innovative KL Sigma Formula approach to tyre management. Kuala Lumpur, 15 June 2013 – National car company Proton today unveiled and introduced its most affordable Proton to date, the Proton Saga Super Value (SV). 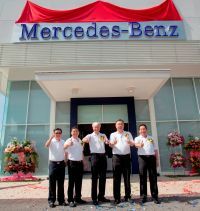 Kuala Lumpur, 13 June 2013 – Mercedes-Benz Malaysia Sdn Bhd (MBM) and Hap Seng Star Sdn Bhd (Hap Seng Star) continue to strengthen their relationship by charting another milestone in their long history together with the opening of the first Hap Seng Star Commercial Vehicle centre in Peninsula Malaysia. 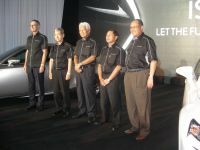 Jakarta, 13 June 2013 – Malaysian automotive manufacturer Proton Holdings Berhad a wholly owned subsidiary of Drb-Hicom, today launched the Prevé in Indonesia. The stylish midsized sedan is now officially open for booking in the Republic, adding to the current line-up of Proton models in Indonesia. Balakong, 13 June, 2013 – Scania (Malaysia) Sdn Bhd today unveiled its comprehensive Total Solutions offering to the local haulage and logistics industries at the Malaysian International Bus & Truck Convention (MIBTC) 2013 with the official launch of its latest Scania Streamline truck range and advance Scania Fleet Management. The launch event was officiated by Tan Sri Dato’ Seri Syed Hamid bin Syed Jaafar Albar, Chairman of Land Public Transport Commission (SPAD). Bandar Seri Begawan, 8 June 2013 – Proton today launched its first 3S Centre in Bandar Seri Begawan in Brunei Darussalam. And in conjunction with the grand opening, the Malaysian automotive manufacturer also presented the Satria Neo R3 to the Brunei market. Shah Alam, 6 June 2013 – Scania Driver Competitions (SDC) 2013 is making a major comeback in Malaysia with more stringent entrance requirements and tougher competition standards ever. The Scania Driver Competitions are held bi-annually to seek out the finest professional drivers of both trucks and buses in the world.